The Outlets at Barstow (formerly Tanger Outlets Barstow) is not the biggest outlet center, but many shoppers (except for hard-core outlet shoppers) will find a good mix of name-brand manufacturers and designer outlets. For shoppers looking for quality merchandise at outlet prices, but dread shopping in crowded outlet malls, the Outlets at Barstow might be a welcomed relief. It is very small and not very busy. For outlet mall shoppers who thrive on having a sea of store choices, a great food court and upscale atmosphere this mall is one you may want to skip because you won't find any of that at the Outlets at Barstow. In October 2015, the Barstow, California outlet center was one of five Tanger Outlets that were sold. The other four properties are located in Tuscola, Illinois, West Branch Michigan and two in Kittery, Maine. A Chicago real estate company, Avison Young, will now manage the five centers with the newly formed outlet advisory group - The Outlet Resource Group, TORG. 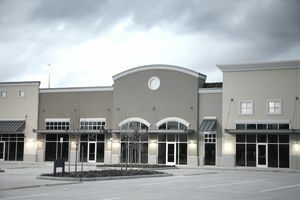 TORG will be handling the leasing and marketing services for the Outlets at Barstow center. According to Mitchell Brown, Chief Operating Officer and Senior Vice President of Marketing at TORG, the leases are part of the property and will remain in place. He also said that gift cards sold prior to the sale will be honored by Tanger Outlets. What Does All That Mean for Shoppers? At this point, there does not appear to be any radical changes at Outlets at Barstow, besides the name change and the promotional programs offered by Tanger Outlets are no longer applicable. In time, TORG will likely introduce their own promotional and marketing plans to shoppers. From Las Vegas, NV: I-15 South to Barstow. Exit Lenwood Rd, turn left across overpass. Turn right on Mercantile Way. From Los Angeles, CA: I-10 East to 1-15 North, Exit at Lenwood Road, turn right. Turn right on Mercantile Way. From Highway 58 - Bakersfield: 58 E to 15 S exit Lenwood Rd. Turn left across overpass to Mercantile Way then turn right. Note: Please visit the Tanger Outlet Barstow webpage for the most current store listing and store phone numbers.